I love grocery shopping. I don’t know if it’s all the food choices or just the fact that I can finally afford to cook fun recipes with exotic ingredients. I’m just a happy camper in the grocery store. And on a day that hasn’t gone your way…a new delicious recipe can turn things around. Sometimes, that’s all ya need. Inside, I found an amazing recipe using Farro. This would be a new experience for me. This grain can get confused in various regions as spelt or barley. Call them cousins, if you will. 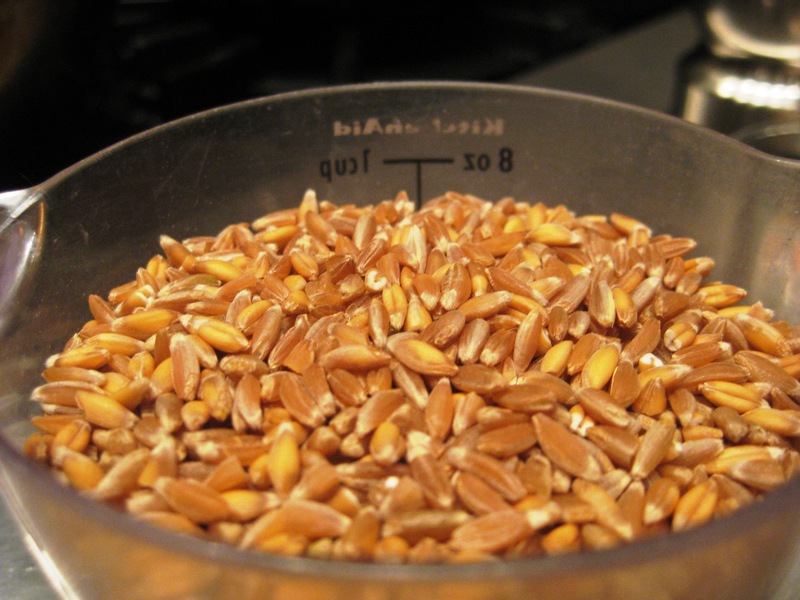 Farro is usually cooked similarly to risotto, but actually remains crunchy when finished. Almost nutty. Not me. The Farro!! 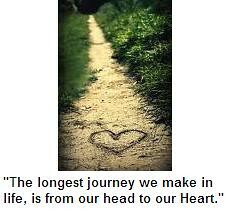 Adapted from Whole Living Magazine, I did change a few things which are noted below. It was said to serve 6. Maybe we eat a lot but it seemed to serve more like 3. -In a medium to large saucepan, heat 2 tablespoons oil over medium heat. Add shallot and cook, stirring, until tender, about 5 minutes.-Add farro, stirring until toasted, 1 minute.-Add wine and reduce by half. -Add stock, bring to a boil, then reduce heat and simmer, stirring occasionally, until farro is tender and creamy, 35 to 40 minutes. Season with salt and cover to keep warm. -Meanwhile, heat oven to 450 degrees. 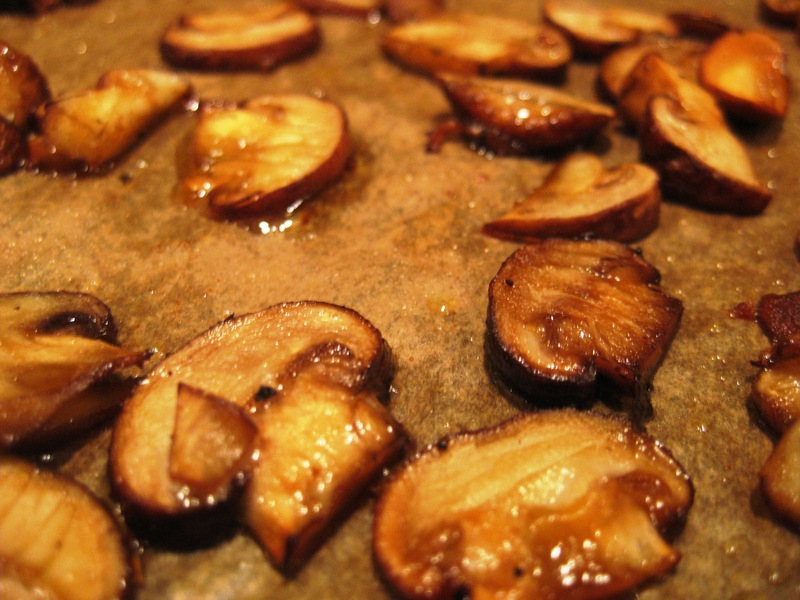 On a rimmed baking sheet, toss mushrooms with remaining 2 tablespoons oil and season with salt and red-pepper flakes. Roast, stirring once, until crisp and golden, 20 to 22 minutes. 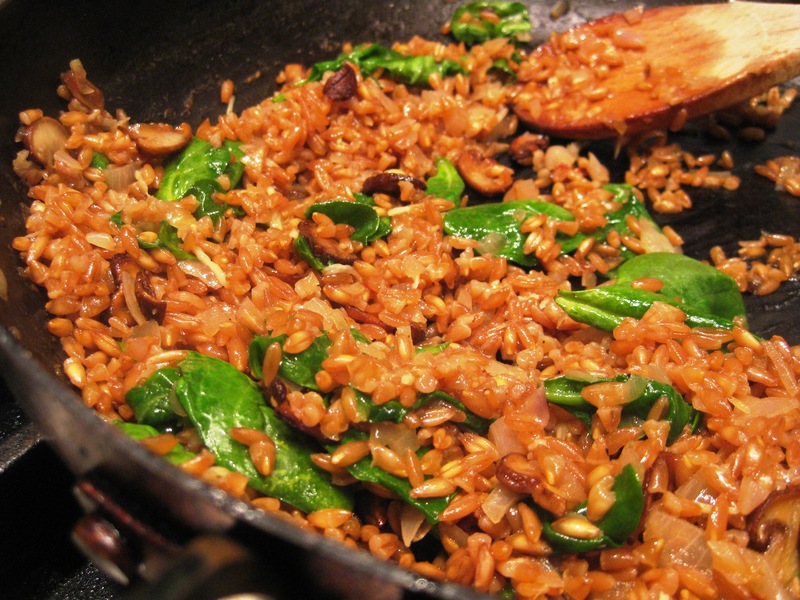 -Warm farro over medium heat and add spinach, stirring until wilted, about 1 minute. Stir in mushrooms and Parmesan. Top with additional Parmesan. 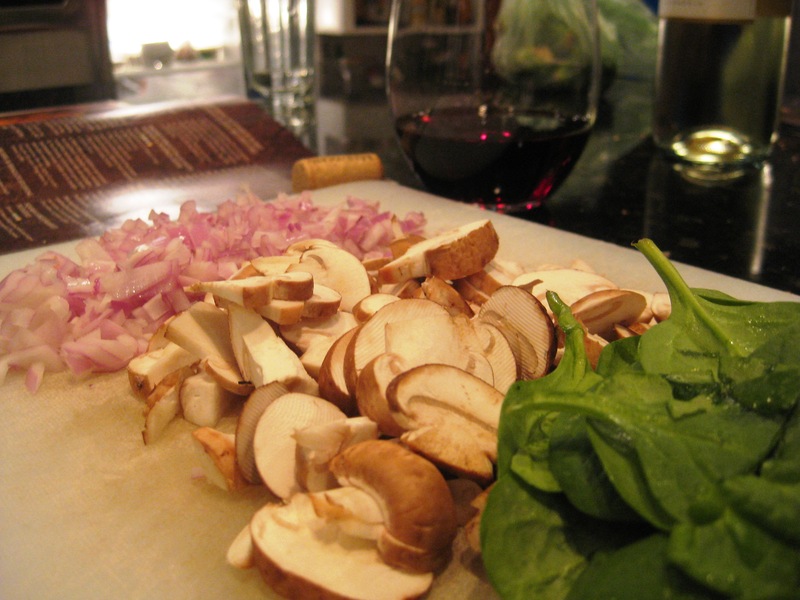 -Chop all veggies and do all prep work ahead. 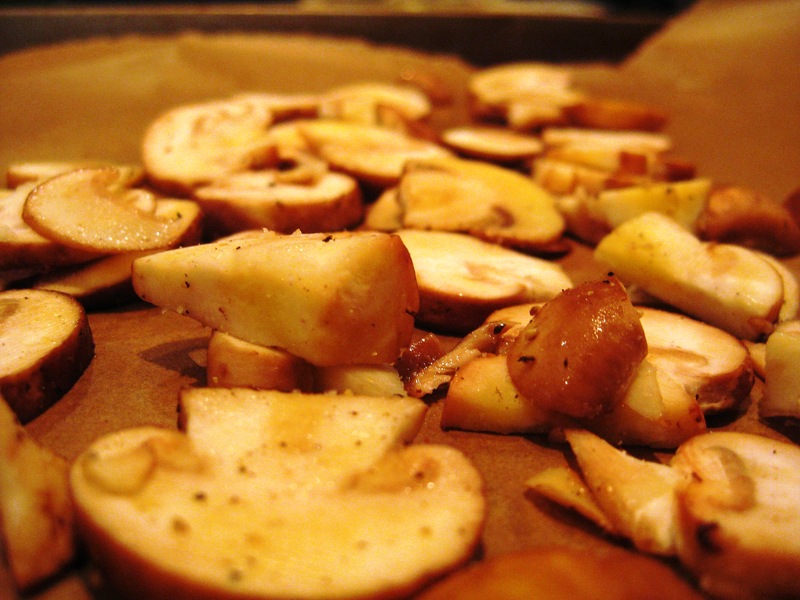 -If you’re oven heats easily or is a new oven, your mushrooms may not need as much cooking time. -I added red pepper flakes to Farro (last 5 minutes of cooking) instead. Because this is such a large post, the Brussels Sprout Salad with Avo will be next, in Part 2.